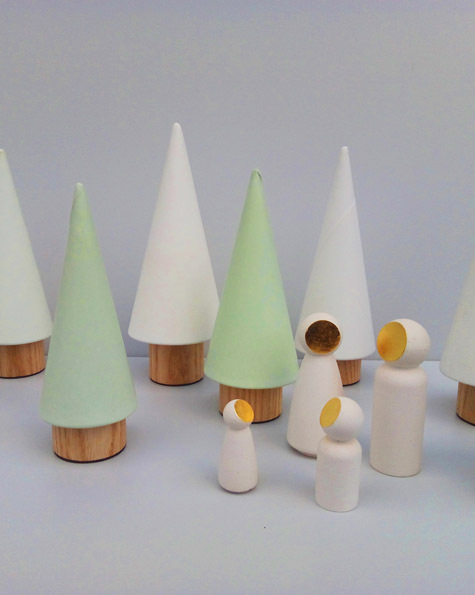 Create an evocative winter woodland scene with these little trees, made from our marble composite and Ash wood trunks. Available in a Snowy White and Muted Green they bring a sophisticated Nordic charm to your mantle piece. Photographed here with our little figures.